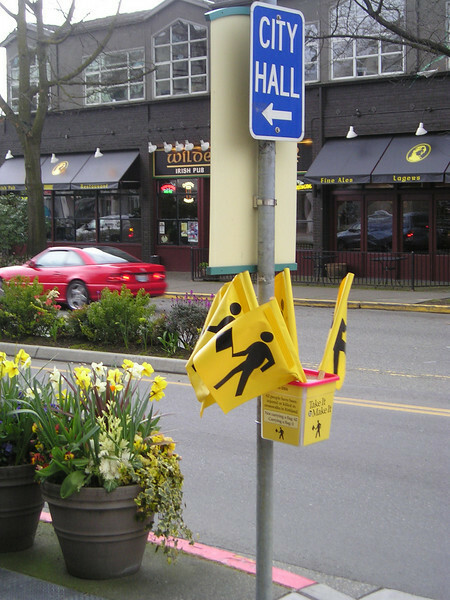 In 1995, Kirkland, Wash., became the first U.S. city to implement a pedestrian flag program when it started PedFlag to reduce the number of pedestrian injuries and deaths. The program provides flags at more than 50 crosswalks throughout the city for pedestrians to carry as they cross the street, thereby increasing their visibility to cars. The City of Kirkland maintains the flags at downtown locations, and the other sites are maintained by citizen volunteers.